Tolerance makes the workplace better for all. Whether you are trying to deal with a gaggle of gossipy co-workers whose daily whispering makes your skin crawl, or are trying to peacefully co-exist with a co-worker from a culture different from your own, tolerance is necessary in the world of work. Because work forces you to be physically close to people with whom you may not otherwise choose to engage, working to build your tolerance will get you far. 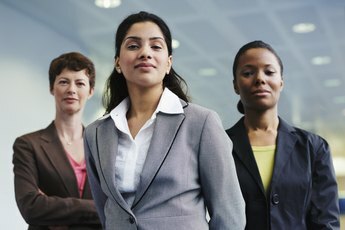 While your initial instinct may be to ignore these differences or behaviors, HR expert Lee Ann Hartert cautions, “Inaction will lead to more irritation.” Instead of trying to grin and bear it, day after day, work to build your tolerance and improve your ability to weather the workplace storm. Distance yourself from annoying behaviors. 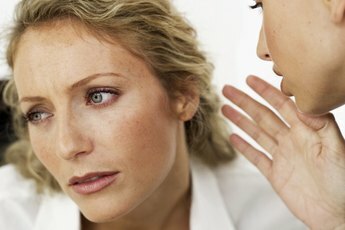 Instead of trying to deal with that loud chewer who stakes claim to the break room from 12:15 to 12:45 daily, or stressing over that water-cooler gossiper, take yourself out of the equation by simply putting some physical space between yourself and the behavior that sets your skin crawling. By avoiding the location of the problematic behavior, you can make tolerating it easier. Work to understand your co-workers who are from different cultures. Fear of the different is natural. It doesn’t make you a bad person. However, allowing this fear to stand in the way of cooperative work with a co-worker isn’t acceptable. 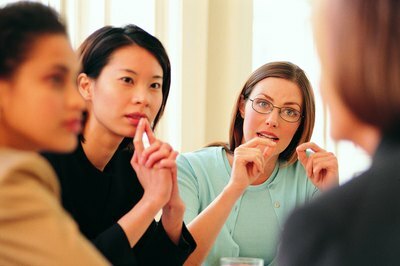 You must work to overcome an inclination to avoid the different to improve yourself as a woman and a worker. If you find yourself less-than-tolerant of an individual from a vastly different background than your own, educate yourself on this person’s culture so you can better understand her. Doing so will likely make this co-worker seem less foreign to you and will improve your ability to tolerate her differences. Accept and accommodate behaviors that annoy you. You can’t control what others do. The only person you have direct control over is yourself. The sooner you adopt this approach, the better off you will be. If you have a co-worker who is a credit-taker, recognize this and accommodate by pre-presenting your most impressive ideas directly to your superiors and thus preventing her from doing this. Similarly, if the source of your office annoyance is a co-worker who wants to sit in your office chatting the day away, handle this by telling her you have a call or some other not-able-to-be-put-off task in five minutes. As the end of this time period approaches, remind her of the time. When it ends, politely evict her from the space, reclaiming it for yourself while not offending her.